This extension and the complete refurbishment of Clwb Ifor Bach will transform this iconic music venue in the heart of Cardiff. 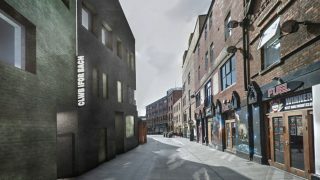 Sitting within the St Mary Street conservation area, the redevelopment of Clwb Ifor Bach is a community-led enterprise. It opened its doors in 1983 as a Welsh-language club and community centre, and over its 35-year life span it has transformed into a unique, historic and integral part of Wales’ musical heritage. 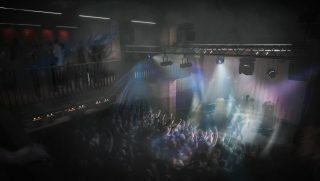 We are working closely with a broad consultant team, staff and stakeholders to create a series of new spaces for Clwb that will maintain and enhance its place as Wales’ leading Grassroots Music Venue. The reinvigoration of the existing venue will be achieved by the redevelopment of the adjacent derelict property and reconfiguring the existing building. Allowing for performances on a larger scale, it will see the raw interior radically opened up with exposed masonry, steelwork and concrete creating an industrial aesthetic. These reinvented spaces will help Clwb to reach new audiences whilst maintaining the intimacy that has made it such an iconic destination.